Spring is just around the corner, and with the change of season brings a whole new level of camp excitement. Campers from all over are gearing up for another amazing summer at their summer homes. Spring is also the time of year when prospective camp families start their camp search and begin gathering information for their future campers. Families are talking to friends, camp directors and referral services, viewing camp websites, requesting camp brochures and DVD’s, and doing their due diligence to find the right camp for their child. The camp search is an important undertaking, and we fully appreciate the time, energy and emotion that goes into finding the best summer home for your child. After you have sorted through the sizable stack of camp packets covering the coffee table, and your choices have been narrowed down, scheduling a camp tour to see a camp in action is the perfect way to get a full picture of a particular camp. 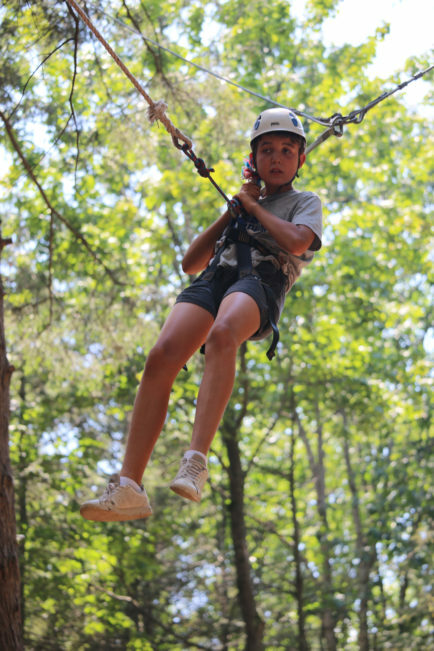 A camp tour allows families to meet the directors, see the facilities, learn about the programming, interact with campers and staff, and understand the camp philosophy. It’s the ideal way to learn about the overall camp culture and decide if it fits into your camper’s needs and family values. Seeing campers participate in camp activities, and hearing them enthusiastically share their love of camp, speaks volumes. IS campers are known for welcoming visitors to hear about their camp friendships, favorite activities and most loved traditions. Prospective families develop a true understanding of how camp has impacted campers’ lives. Choosing a camp is a big commitment, and one that families hopefully make for the long run, so we help make the process easier by speaking with you about your camper’s interests and needs prior to the tour, providing a thorough tour experience that leaves no questions unanswered, and following up post-tour to find out about your overall experience. Tammy, Ali and all the wonderful IS tour team members, provide families with an in depth look at camp, while they make the entire family feel right at home. Prospective families walk away with an understanding of camp life that a brochure can only touch on. To all the prospective families who are beginning their camp search, enjoy the camp journey you are about to embark on, and please give us a call with any questions or to book a camp tour. We look forward to speaking with you about your camper and showing you around Iroquois Springs!